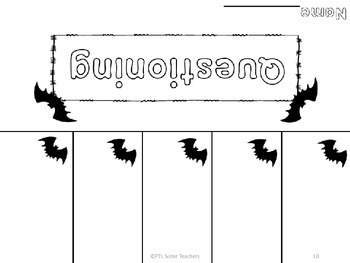 This autumn themed flip book set can be used with non- fiction texts. This product is great for differentiation. Younger kids can simply draw. 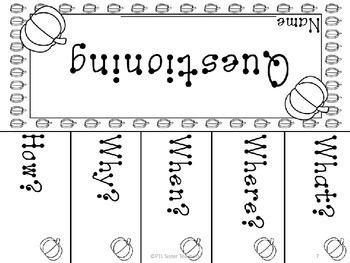 Older kids can write sentences or use as a graphic organizer for their own writing. 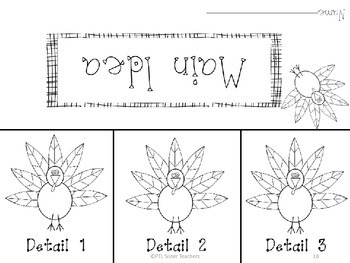 Can be completed whole group, in guided reading groups, in centers, or for early finishers. 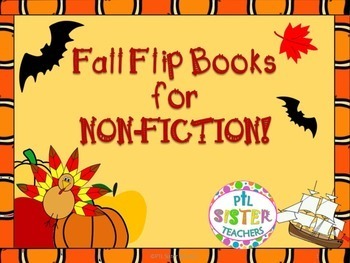 which has 20 autumn themed flip books for fiction! If you're looking for more autumn themed activities, you might want to check out this COMPLETE Reading and Writing BUNDLE for The Season's of Arnold's Apple Tree by Gail Gibbons. Feedback is greatly appreciated! Check our store: PTL Sister Teachers often for updates. Like our store to see new products added. Please view the preview to see what is included!